From November 21 to 23, 2018 Korea University (KU) e-Learning Symposium was held with the topic of “Achievements and Tasks of e-Learning Education” in the event hall of CJ Creator Library (CCL) and in the Hana Square. Hosted by KU Center for Teaching and Learning (CTL) and Korea Massive Open Online Course (K-MOOC), experts, professors, and students presented their insights on e-Learning in the symposium. 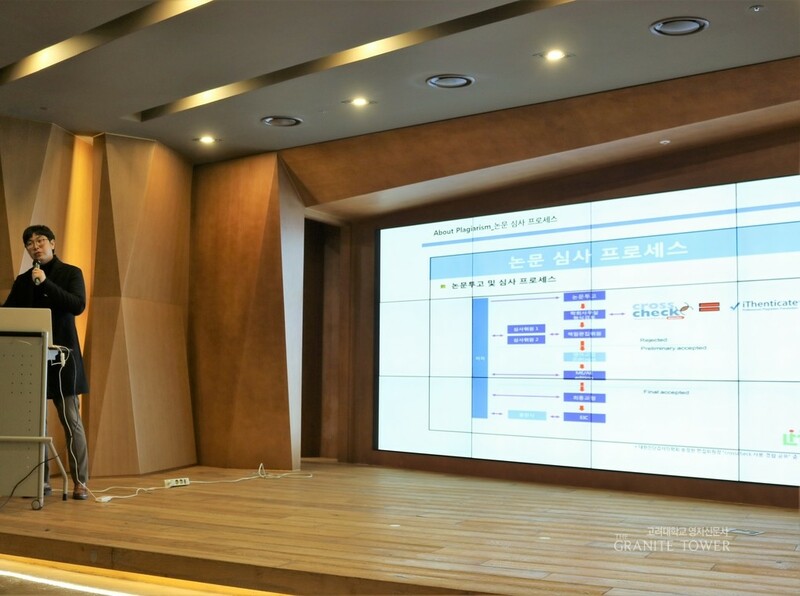 On the third day, Seo Seong-hoon, the Deputy General Manager of Turnitin, a similarity checking system, gave a lecture about the recent trend in examination of journals and theses to strengthening one’s ability in the e-Learning era. Seo introduced Turnitin solution as a similarity test system, not as a plagiarism detection tool. He said that this system will help to prevent people from plagiarizing. Furthermore, he emphasized that this can be used as a practical tool for the precise writing regardless of the diverse languages. Surprisingly, the program could also prevent a writer from ghostwriting by comparing the work with his or her own writing pattern collected continuously from the submitted assignments before. Through the symposium, the audience could have a grasp on the achievements and tasks of e-Learning environments of KU.